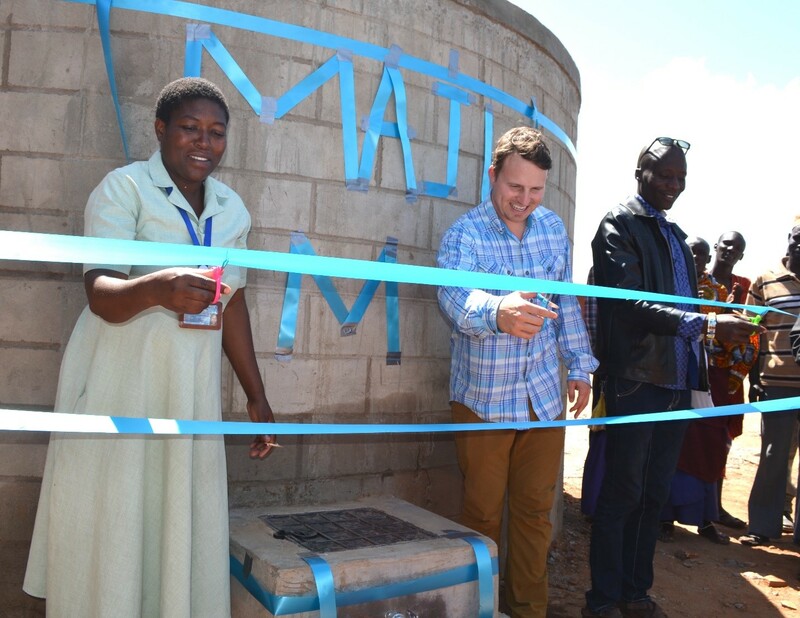 The Global Water Institute would like to extend our congratulations to our partners at the Sustainable and Resilient Tanzania Community (SRTC) program on the successful completion of their May service-learning trip and the inaugural SRTC internship program. 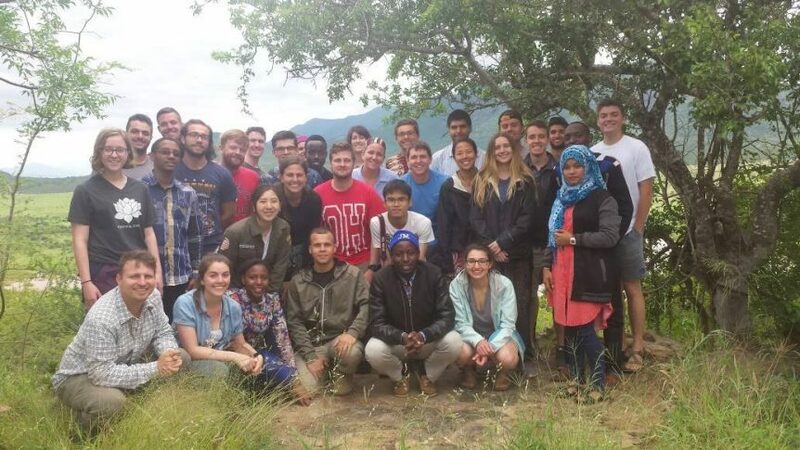 Collaborating with students and faculty at the University of Dodoma, a group of 34 Ohio State students traveled to Tanzania for May term, with seven staying on as interns in Tanzania afterward. Among their many activities in the village of Marwa, the students helped to complete a rainwater collection system on the roof of a local clinic to provide clean, safe water for use by the medical staff. This will enable them to improve treatment standards for the more than 8,000 people of the village. The head nurse of Marwa’s clinic, SRTC’s Dr. Joseph Campbell, and the Marwa Village Chairman cut the ribbon for the rainwater collection system. Student teams also worked collect information about the community and its needs for ongoing development activities in years to come. They interviewed local students and women’s groups about their daily lives to learn about domestic economics, education, and water needs, and they held community meetings to gain insights into the public health and water use issues that the village faces. The SRTC program is co-led by Dr. Joseph Campbell, Ohio State’s current Fulbright Scholar at the University of Dodoma. Program updates can be found on the group’s Facebook page.